Kickstarter is kind of an amazing thing for the gaming industry. In an age where mega publishers typically only throw down piles of money for games with a high chance of success, more oddball projects have been cast aside than we'd even like to consider. Kickstarter has become the great equalizer. Game developers come straight to the community with their idea, they present a fiscal goal and then consumers decide whether or not the game sounds good enough to back. Now that Kickstarter has been around long enough for tons of games to actually near eventual release dates, we thought we'd go over a few recent and aging projects that we're really looking forward to. These are our most anticipated Kickstarter games. I guess if there was any game that pulled me into the Kickstarter phenomenon, it would be Armikrog. I had donated here and there to guaranteed projects like Tides of Numenera and Shovel Knight, but not until Armikrog did I actually feel like I was apart of something, posting on Facebook and Twitter to get people to notice. In fact, watching Armikrog's speedy beginning, slow drag in the middle days, and dramatic finish might even prove to be more exciting than the game itself. Not likely though. Creative Director Doug TenNapel has a solid background thanks to his famed work on Earthworm Jim, but his point-and-click adventure game, The Neverhood, and its platformer sequel, Skullmonkeys, also remain cult hits for those who played it. They are most famous for the use of claymation in a video game, an artform rarely explored by anyone else. Armikrog continues in the tradition of puppetry and clay to tell a wacky space adventure of a crash landed cosmonaut on a deserted planet. Pencil Test Studios asked for $900,000 and pulled in a very tight race with just hours to spare. It finished off at $974,578, enough to secure a Wii U release. Expect a lot of RPGs from here on out from my part. It's my genre and I'm sticking too it. How to choose from all the fabulous ones Kickstarter has given life to though is tricky, but there is one name in the business which secures an easy victory: BioWare. No BioWare did not create a Kickstarter campaign, but three veterans who had worked on some of their games left the company and formed their own RPG company, Stoic, so it's kind of close, right? Not so far off, really. The Banner Saga is shaping up to be one fine video game, chock full of the high quality storytelling BioWare has always been known for. Those interested in the strategy style of RPG combat can actually go ahead and give it a try right now. The Banner Saga: Factions was released on Steam as a free-to-play multiplayer title with the combat system fully intact, just to give a taste of what is to come. It's a fine first look, but the narrative style is what is truly important here. Stoic originally asked for $100,000, but walked away with over 700 percent at $723,886. The Magical Realms of Tír na nÓg: Escape from Necron 7 – Revenge of Cuchulainn: The Official Game of the Movie – Chapter 2 of the Hoopz Barkley SaGa, or Barkley 2 for short, is the sequel to the tongue-in-cheek indie RPG called Barkley, Shut Up and Jam Gaiden. I'd like to try and do the game justice and spell if all out for you, but developer Tales' of Games has got such an amazing grasp on how to describe and market this game. I'm afraid I can't do it any justice they way he can. I'll direct you to the Kickstarter page here. Prepare to be blown away. Only a measly $35,000 was asked for to create the game, but Barkley 2 managed to nab $120,335. Sadly, the campaign ended up short of the $200,000 needed to secure the rights to the Space Jam theme song, which is featured epically in the trailer for the original game. There is also no more sign of Charles Barkley either, but considering that there is now money involved, Tales' of Games no doubt was unable to secure the rights to the basketball stars image either. For a lot of gamers who support Kickstarter, the Double Fine Adventure project was one of the first to proof the viability of the platform as potentially legitimate. It was funded practically overnight, and Double Fine wound up with, what was then, a record performance for money earned. Broken Age, as it's now known, basically represents what Kickstarter is all about. This is a point-and-click adventure game, a genre that's been all but abandoned by mainstream gaming. Double Fine brought their idea to resurrect the genre to the masses, and passed with flying colors. I want to play Broken Age because it's a game by Double Fine. I also want to play it because it defined a movement in gaming. That's special. Double Fine's second Kickstarter project, Massive Chalice brought in $1.2 million. The developers asked for $725,000. This is a tactical strategy game for the PC that's very much in line with XCOM, Final Fantasy Tactics and Fire Emblem. The caveat being that this game spreads over generations. Your heroes will grow old and die, and it's up to you to ensure that your realm gets stronger with each passing generation. Instead of being a battle-to-battle fight, Massive Chalice is set to be about an epic war spanning literally generations upon generations. Sure, the scope of this game is flippin' enormous, but that's exactly what we want from our Kickstarter projects. We want stuff that seems so big and lofty that no sane publisher would ever back it. Then we want to see it come to fruition. Growing up, Total Annihilation was one of my favorite RTS titles. The ability to wage robotic war on a grand scale on air, land and sea was novel at the time (1997), and I was hooked from the moment I tried the game. 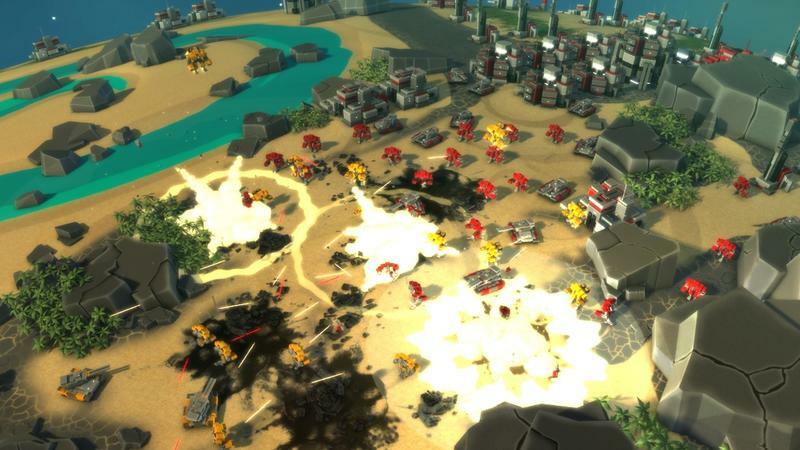 Planetary Annihilation is the spiritual successor to that amazing title, and it's being developed by Uber Entertainment. Total Annihilation was restricted to single spaces on single planets. Planetary Annihilation is straight up galactic warfare with whole solar systems in play. Build your forces on planets, moons and even asteroids. This game looks nuts. If you want to pony up $90, you can actually play an alpha version of the game on Steam right now. I don't have that kind of scratch to throw down for a game, so I'm stuck watching from afar. Can you hear me sighing? I'm most excited for Shovel Knight because it is, as proclaimed by the creators, "A groundbreaking love letter to 8 bits!" I've been playing games for more than 20 years, and the first console I enjoyed them on was the NES. Shovel Knight looks like a callback to all the things that made 8-bit sidescrollers so unbelievably fun and wonderful on that system. Shovel Knight pulled in $311,502 during its Kickstarter campaign. The developers, Yacht Club Games, asked for $75,000. All of that extra scratch will add things like Mac and Linux versions, more characters, a physical box and additional game modes. Yacht Club Games was actually formed by a few former staffers from Wayforward. Wayforward has a proven pedigree of awesome games like Shantae and the A Boy and His Blob remake for the Wii. That trackrecord alone has me excited for this one. From the age of 2, I've played video games. I played everything and anything I could back in the NES days, but it wasn't until a glorious game called Final Fantasy III (the SNES cart for you kids) came into my life that I finally identified myself with a particular genre: the JRPG. It wasn't especially hard to become a fan growing up during the late SNES and PlayStation heyday, when the genre was second to none. It's an age of gaming I miss every day. This is where Soul Saga comes in. Designer Mike Gale "left his comfy job" at Microsoft making Fable games to pursue his passion of recreating the classics he remembers. Taking inspiration from Final Fantasy, Suikoden, Breath of Fire, and a handful of other noteworthy classics, Gale is putting his experience at Microsoft to good use in creating something he wants. I've read some blog posts made by Kickstarter creators, but this guy's is the most genuine. Read it here. This is what Kickstarter is supposed to be about. Gale and his label Disaster Cake asked for $60,000 and has already pulled in more than double what he asked for with over $166,000 as of writing with 3 days remaining. He achieved his most important stretch goal which confirms a PlayStation 4, PlayStation Vita, and Wii U release on top of the planned PC release. Here's to hoping that Disaster Cake can make this dream a reality. Even if the game turns out to be just ok, it's nice to see that someone in the development world still cares about classic JRPGs because it doesn't really seem many of his inspirations do. At first blush, Stonehearth looks like another Minecraft clone. Don't let the open space, procedurally generated word and voxel look deceive you, friends. Sure, this game is about exploring a big space, but it's also a city sim title and combat game. Quite simply, this looks like a massive game with a whole slew of content worth enjoying and, thanks to the Radiant devs, modding. They're making that up to the community, so, slam dunk. Thanks to all the extra scratch earned during the backing phase (they asked for $120,000 and received more than $750k), gamers who eventually do play Stonehearth will be able to do so on the PC, Mac and Linux platforms. They'll also be able to enjoy PvP, Co-op and a whole slew of new classes, sizes and modes. We're really looking forward to this one. If any single creative mind in the gaming world has come out on top of this Kickstarter ride, then it is Obsidian Entertainment's Chris Avellone. The writer of Planescape: Torment is attached to both inExile's Torment: Tides of Numenera and Obsidian's Project Eternity, ranking number one and two in money raised through the website respectively. He is also helping out with inExile's current project, Wasteland 2, which set early records about the same time Double Fine Adventure did. Three massive successes and three massive RPGs. We are only going to represent one of them, so we'll go with the big fish, Torment: Tides of Numenera. Not for any precedent with the money it raised or anything symbolic like that. We are going with Tides of Numenera because of its source material, Planescape: Torment. Avellone is returning to the world he created and is no longer bound by the chains of the Infinity Engine. inExile will have full range of a new technology to work with to truly bring his vision to light. Different realms of existence, multiverse, spectral demons. It is a setting far more complicated than most video games dare to take on these days. No offense to the other two, which look great, but high-fantasy and the post-apocalypse are a dime a dozen these days. Torment: Tides of Numenera is going to prove to be a breath of fresh air in the storytelling department. inExile asked for $900,000 to fund the project, but it became the biggest game in the website's history, finishing up with $4,188,927. Release date estimates don't have it ready for distribution until 2015. Almost makes you wish inExile could put Wasteland 2 on hold for a bit to speed things up.